Its May 4, 1986 and while everybody at Talladega Superspeedway is readying for the upcoming race, one drunk fan has other ideas and steals the pace car to pop in a few happy laps before a makeshift roadblock literally stopped him in his tracks. Security was much more lax back then, but it still obviously caught everybody offguard with the guy in question getting a few laps in before a roadblock at turn number four was put in place and put a halt to the merry proceedings. The guy had the car for at least 10 minutes and what problems started off as a more humorous events, turned more serious, especially when the police got involved and he finally got dragged out of the car. When the car finally stops the commentator mentions that the crowd are, ‘standing and applauding the officials.’ Is this because they have eventually stopped the car and the race can start or for the driver for having the sheer balls to even attend this stunt in the first place? Maybe a bit of both. 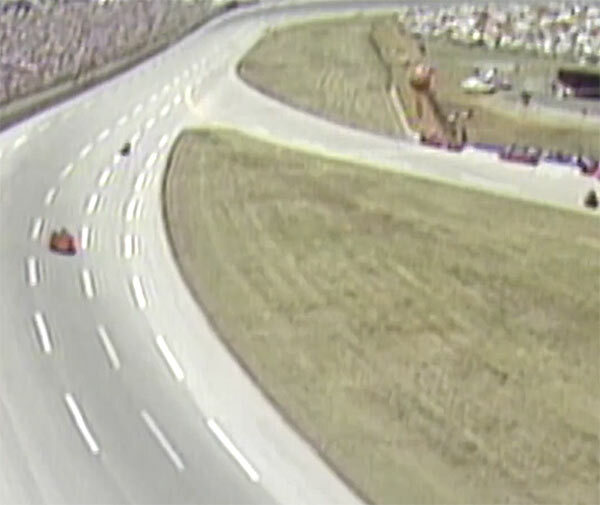 Clearly things weren’t going to end well for the driver who stole the pace car, but it does show how only a few decades ago racing was quite ‘wild West’ compared to the sanitised precautions of today. ← Previous Story A Hellcat Powered Toyota PriuSRT8! !